Did you know 14 billion pounds of garbage is dumped in the ocean every year? Did you know pollution kills 1 million seabirds and 100 million mammals every year? The world is slowly deteriorating because we don’t care enough. Technology and modernization have benefited us in countless ways but what we fail to see is that we reap those benefits at the cost of nature. What if we planted two trees for every tree we have to cut down? What if we all rode in buses and shared cabs instead of our individual cars? What if we opted and demanded for green products? What if we became more conscious of the mess we are leaving on our surroundings? Wouldn’t the world be a much better place? It’s important that we spread awareness about protection and preservation and these environmental message stickers will help do just that. Cars are a major cause of city pollution and the solution to this problem is electric cars. This custom environmental message sticker depicts exactly that. We need to protect and save the bees! This environmental awareness sticker a great to give a gentle reminder to people to take the bicycle anytime they can. How unbelievable is that? It takes plastic forever to decompose and that is why we absolutely must make the world free of plastic. This is will make a great custom environmental message sticker. Three words to live by and the best custom environmental message sticker for your laptop. Encourage others to buy steel or bamboo straws instead of plastic ones. Spread the message via this environmental sticker. Take a simple step and start saving paper as much as you can. Use this as an environmental message sticker on your wall at home or in your office. This custom sticker serves as a grim reminder that there is no other planet for us than our Mother earth. How are you going to spread awareness and do your bit towards saving the environment? These stickers can be a great start. 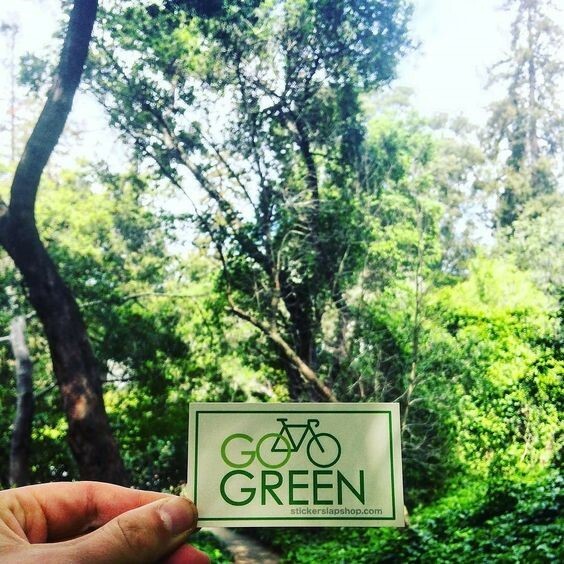 Get custom environmental message stickers made for you. Drop an email at sales@gumtooStickers.com and we will get in touch with you. Newer PostGreat Idea: Save-The-Date Stickers For Your Next Event!